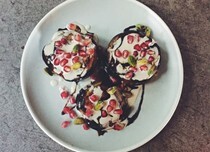 This book introduced me to toast with tahini and date molasses. (It isn't a recipe in the book, just something he mentions in passing that he likes to eat.) It is so delicious and my new favorite thing to do with tahini. Try this! First rate. So delicious I had to eat it warm for breakfast. Plus there is advantage of the extra tehina sauce for other dishes. 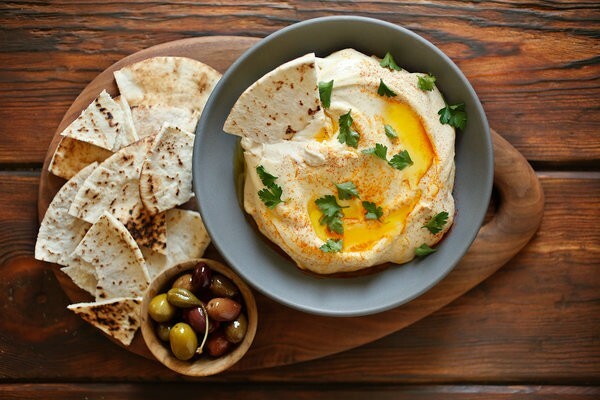 This hummus is insanely creamy, smooth, and light. The garlic and lemon are a little too mild for me, maybe, but overall, it's very special. Also, if you make the tehina sauce that is its basis, you can make the beets tehina, which I love. I totally messed up this recipe. I accidently made it too thin because I wasn't paying attention. Still commenting because there are a couple of things I want to note for next time. 1. Baking soda WORKS-wow! My food processor was able to make this smooth in no time. I just used a pinch-no need to use so much. Secondly, I added the cumin and as soon as I tasted all I could think of supermarket hummus-think Sabra. So, I paid attention to my most recent restaurant hummus orders and I've realized that the hummus that I am accustomed to (from local Lebanese places) has no cumin. Maybe a regional distinction. Lastly, I like the idea of blending the garlic in the lemon juice and then straining it since that gives you ultra smooth hummus, however, I think I might like a more pronounced garlic flavor. This was a TON of work for what turned out to be a really bland hummus. I had to add a lot of cumin, olive oil, salt, and other stuff just to get a hint of flavor. Perhaps that's typical of this style of hummus, but I personally am not a fan. The amba tahini sauce in the recipie is fantastic. Adding the zatar to the schnitzel breaking was very delicious. I added these techniques to the schnitzel breaking I normally make. Starting with tossing the chicken or turkey tenders in falafel mix instead of flour and using egg whites and a mixture of panko, matzah meal and breadcrumbs. Seasoned with powdered garlic, nigila black onion seeds, white sesame seeds and zatar. Lite and crumbly. Strong tahini flavor. I diced my onions because I was using them in a salad. Mine also weren't pink like the book, but nicely speckled. That said, I really love how they taste (I always forget how wonderful sumac is...) and can't wait to add them to other recipes. Yummy! Used a 1 lb. bag of baby carrots since that was all I had. Not sure if boiling down the carrot cooking water was worth the bother. Added the zest of the orange to the dressing to up the orange flavor even more. Despite the Aleppo pepper, this was just barely spicy. Carrots tasted better and better the longer they sat in the dressing. But, the fresh herbs suffered in color after a night in the fridge. So if you want to make this ahead, add the fresh herbs just before serving. Family enjoyed this. I liked the technique of cooking the carrots whole and then cutting them afterward. A good one that can be prepped ahead of time. I've been wanting to make this recipe forever and it did not disappoint! This is a very basic concept - shredded salt-roasted beets mixed with tehina sauce, herbs (dill & mint), olive oil, and lemon juice. It came together very easily and tastes great. My one issue - I realized after the fact that the box of Morton's salt I had was table salt, rather than kosher salt, and I wasn't sure the table salt would work for baking the beets. It worked fine and the beets were roasted beautifully. This will definitely go in my rotation. 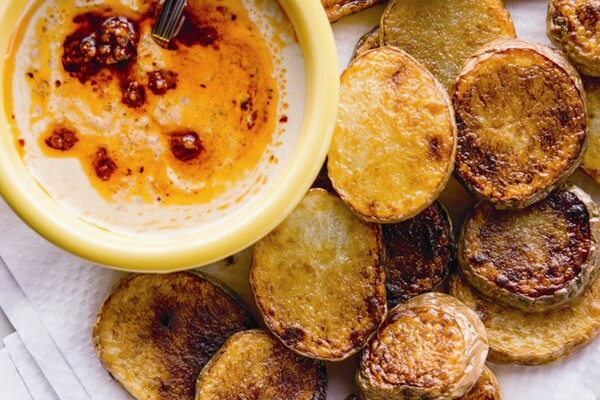 Very, very tasty, but some might be put off by the charred bits of eggplant. So, best served in an informal setting. Also, it took three batches to fry two thickly sliced eggplants in a good-sized skillet, which at 20 minutes or so per batch, meant that it took over an hour to complete that step. The next time I make this, I will experiment with brushing the slices with olive oil, arranging them on a cookie sheet and broiling them. This should save a lot of time. This dish is a family favorite. The cooking of the eggplant does take time but this dish can be made 2 days before serving. Just add the lemon juice before serving. One thing - it is very salty. I might use a little less salt next time. No grills were about to be in action, so I did the eggplant under the broiler, cut side up, until they were quite blackened and the smoke alarm had gone off. I love baba ganoush, and this one did not disappoint, but I don’t think it’s superior to many others I’ve made. I used some of it to make lamb naan-wiches, mixing cultures indiscriminately. I’ll need to get the book from the library again to try the Twice-Cooked Eggplant. That one sounds quite inviting to me. Really ridiculously easy potato salad to make and open to easy variations and riffs. I'd recommend salting the water for boiling the potatoes and upping the garlic. Worked fine with parsley in place of the pickled peppers (for which I used pepperoncini, not the shifkas). Really good dish. 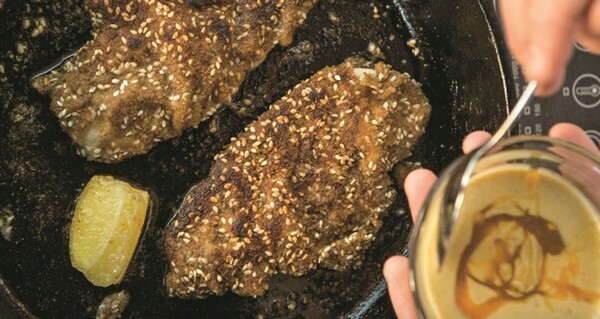 If you had the tehina sauce on hand, it would be a very quick weeknight dinner. Great combo of creamy savory sauce, blackened and sweetish zucchini, crunchy nuts, salty cheese. I added greens to the salad and just used tahini because didn’t have sauce. Agree that this is very, very easy to make. Next time, I'd make the date/walnut paste a bit chunkier (to match the photo, and not the directions which say to puree until smooth) and I'd cut the apple just a teensy bit larger for more crunch. Salty, sweet, tangy... great dish! Really easy to make; looked and tasted impressive. Did 10” and 1.5 ground beef. The meal was delicious. Delicious! I used a 10" cast iron pan, and I think 1.5lb beef (other ingredients scaled up, too) would fill it better. I made this with leftover brisket, and skipped the accompaniments to make it weeknight friendly. Very delicious, and with the shortcuts, very quick too. Place the hot breads into a plastic bag and seal them to steam. This creates a lovely tender chewy bread that won't dry out as quickly. Great frozen and reheated in the oven. I was super impressed by this recipe - it was easy to follow and the pitas came out both delicious and with real pockets! I'm excited to try the laffa version next - it's the same dough, just rolled thinner. I may also try it with a bit of whole wheat flour, since I love pita made with whole wheat... Solomonov says they cook in 3 minutes, but I preferred the second set that I cooked, which I had in for more like 5 minutes. They probably could have gone even longer, honestly. This is a simple and tasty recipe for the seasoned beef that is part of several other recipes in the book. These are good, but not brilliant. The seasoned beef is yummy, but I felt like there was some moisture missing and maybe some sweet and sour flavor? I think I would stir some tomato sauce into the rice/meat mixture next time at the very least. This is just basic tomato sauce, though the coriander does add an interesting note. I love this marinade! Really easy and delicious. I just did the meat - served it with store bought hummus and flat bread. This made a quick and easy dinner, but wasn't that flavorful, even with an overnight marinade. It may have been the harissa that I used, which is super mild to me and not my favorite, or my regular (Mina- bought in a pinch). Use the good stuff with this recipe. This is a delicious cocktail that goes down very easily. Once you've made the lemon verbena syrup, it's a snap, as everything (syrup, lemon juice, bourbon, mint leaves, ice) is shaken, then poured out into a glass. I decided to forgo the sugar, and instead used a bit more lemon verbena syrup, and I liked the balance of flavor. Horrible! I ways skeptical of this recipe, but tried it anyway, thinking maybe the chef had come up with some new, ingenious way of making Persian rice (Tahdig). The chef uses Jasmine rice, turmeric, and canola oil instead of the more traditional Basmati rice, saffron, and ghee. His technique is just crazy - he has you coat the pot with canola oil, wipe it out, the coat it again with fresh oil. Then he has you sprinkle the bottom of the pot with turmeric before adding the rice. This caused the turmeric to burn slightly, and it produced a really unappetizing smell while the rice cooked. The result was Tahdig with zero flavor. A total waste of ingredients! I thought I had kale, but it was chard. That seemed to work, too! I love his pilaf recipes. 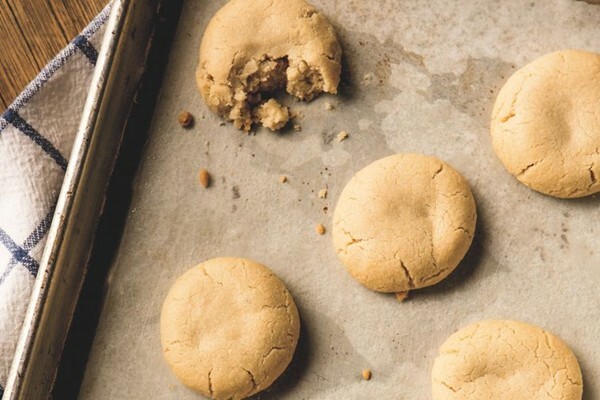 They are pretty easy and very delicious. This recipe for mujadara calls for you to cook the spiced rice separately from the spiced lentils, which allows you to cook them both fully. (Big win - in past recipes I've made one always seems overcooked and one under.) That said, following the directions to cook the rice in the oven made the rice just a bit more al dente than I would have chosen. The lentils came out great, though. (I used green lentils, since I couldn't find beluga in the store...) All stirred together, this is absolutely fantastic, but I could also happily eat either of the two parts alone. Method works well and they freeze beautifully. Takes forever, though. 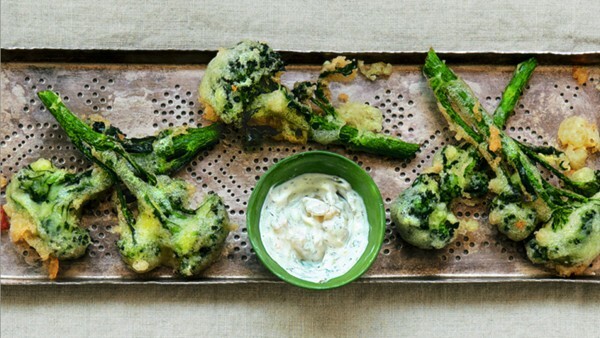 Perfect for a quick dinner or to clear out your vegetable drawer. The results are fantastic! Don't be frighted by this recipe. Despite the fact that you need to start 2-3 days before you want to serve it, the most difficult part is obtaining a whole lamb shoulder. The preparation is really so simple that I would not hesitate to suggest it to a novice cook. The active time is probably less than 2 ½ hours. I served this when I hosted a cookbook book club event focused on this book. It was a real winner. This is a fabulous first time fail safe, delicious recipe, succulent, melt in your mouth, flavoursome, a bit of prep over three days but nothing that outrageous, looking forward to the leftovers! This one grew on me, though I would definitely cut WAY back on the cardamom and would not use black cardamom. The eggs become super yummy. Does not beat my grandma's pot roast, but it was a nice change. I served with basmati rice cooked in the rice cooker with a pinch of salt, pinch of turmeric, and pat of butter. This recipe notes at the end that there should be natural juices to use as a sauce. Didn't have any juices, and the salt in the roasting pan soaks up any juices emitted during roasting. beautiful spicing here. In the book, the recipe states that it makes one loaf then the recipe tells you to prepare two loaf pans. I had enough mixture for one medium sized loaf pan but the cooking time stated in the recipe (30 minutes) is insufficient. It needs 45 minutes at least. Very irritating when baking recipes are inaccurate. Very unusual recipe for chocolate babka, but the end result was very good. The babka was rich with a very soft crumb, nut then why wouldn't it, between the dough and the filling, there was a stick and a half of butter in there. It uses 2 tbs of yeast for 2 1/4 c of flour,but it does not taste yeasty. The dough was too wet, I had to add 6 more tbs of flour for it to come together. After the first rise, you rolled it out, filled and rolled it, then it went in the freezer for 3 hrs. You then sliced the roll and resembled back into loaf pan, let rise again and baked. This is good. 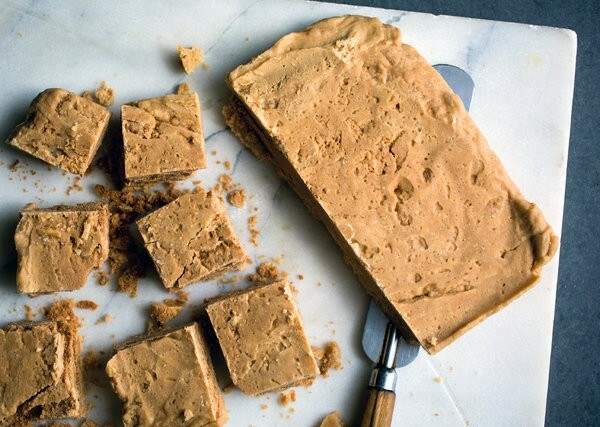 So creamy, so rich, and the coffee/cardamom flavor just sings. I did make a few changes, but I don't think they affected the final deliciousness. I used lactose-free half and half instead of a mix of cream (2 cups) and milk (2/3 cup). A bit less fat overall, probably, but the ice cream was rich enough and the texture was still very creamy and since they don't make lactose-free cream yet.... sigh. I also used decaf instant espresso powder in place of Turkish coffee. I keep this on hand for baking (no caffeine before bed for the DH) and while the fact that it dissolves fully might have slightly changed the appearance, the coffee flavor is still strong with it, so it worked. This really was SO good. ...isn’t just about how he translated modern Israel's "delicious and soulful, vibrant and elemental" cuisine for the American palate. It’s also an ode to his late brother David. 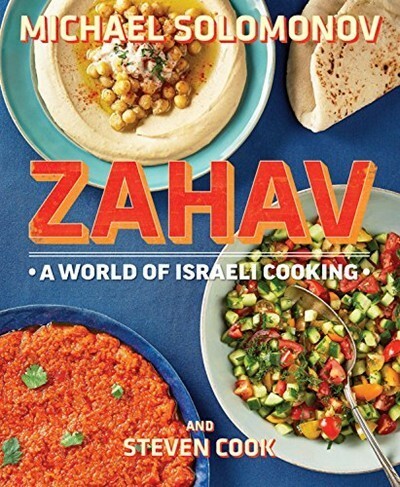 Best Cookbooks of 2015: The family snapshots remind us that this type of food is about sharing, cooking together and longstanding traditions, and yet Solomonov manages to keep it current and fresh. ...the kind of book that will redefine the conversation around Middle Eastern cuisine in America. 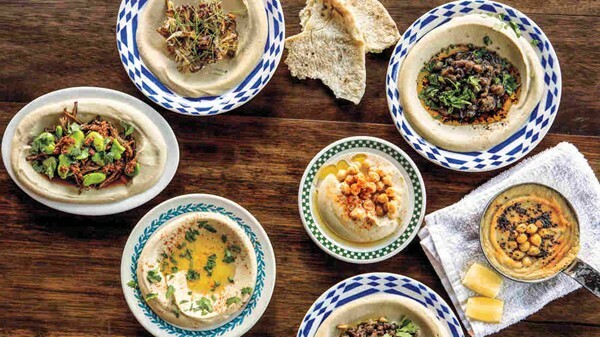 And yes, a recipe for the restaurant’s iconic hummus is included.